Our goal is to connect people with the best local experts. 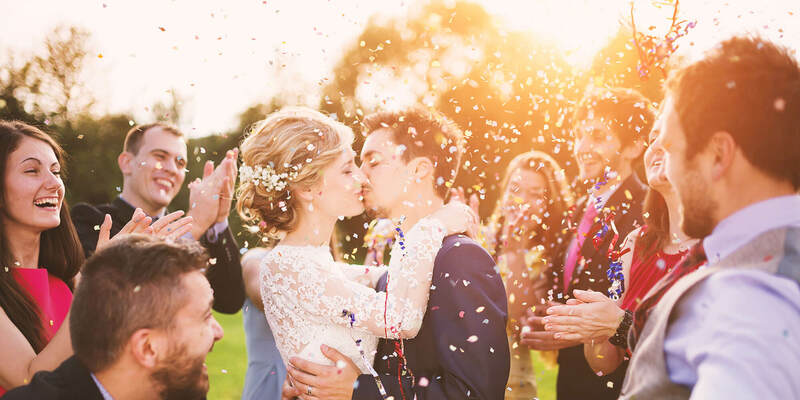 We scored wedding photographers on more than 25 variables across five categories, and analysed the results to give you a hand-picked list of the best wedding photographers in Orland Park, IL. Agnes Malorny Photography is a wedding photography studio based in Downers Grove, IL that serves the Chicago area and its suburbs. It is owned and operated by Agnes Malorny, who has nearly two decades of experience as a wedding photographer. She was featured as one of The Knot’s best wedding photographers in the Chicago area in 2014 and her work can be seen on wedding planner sites such as Style Me Pretty and WeddingLovely. Agnes Malorny has received praise for her natural visual style, professional team, a short response time for inquiries, and reasonable prices. Agnes Malorny Photography also provides family and child portraits. Azalea Photography, located in Frankfort, IL, is a professional photography company that serves Chicago and its surrounding areas. Azalea James is the company’s primary photographer, and he is dedicated to exceeding customer expectations and building genuine relationships that beyond the camera shoots. The company primarily focuses on wedding photography, and they pride themselves on their ability to make every wedding album unique. To earn his clients’ trust, Azalea James offers a free engagement photo shoot without any commitment to use his services in the future. Customers of Azalea Photography speak highly of the company’s professionalism, passion, and caring demeanor, and they state that he is extremely trustworthy. Janelle Jaqueline enjoyed photography and writing ever since she was a child and eventually decided to pursue her passion through her enjoyment of life. She believes her dream to be her given purpose in life and strives to offer each individual who works with her company to obtain high-quality pictures which showcase the significant moments of their lives. Ms. Jaqueline owns and operates her own business and specializes in travel wedding and lifestyle photography for people in Chicago, New York, DMV, Philadelphia, and sections of the surrounding communities. People interested in her services can choose from several different packages, each of which includes a 20-minute phone conversation to set up and plan the photo shoot. Rebecca Borg Photography was founded with a mission to help make every wedding an unforgettable and stress-free experience. The photographer has a soft, romantic style that takes full advantage of natural light, outdoor settings, and the beauty and emotion of true, undying love. Using natural color and striking black and white, Rebecca Borg crafts unique and dramatic portraits of happy couples that would look right at home in the best magazines, and takes pains to preserve all the special moments that make the ceremony a once-in-a-lifetime fairy tale. The studio’s website features stunning portfolios of past wedding and engagement portraits, each with its own creative style, as well as a contact page where customers can send messages and start planning the wedding or engagement shoot of their dreams. Grace owns and operates True Grace Photography and has many years of experience in the industry. She specializes in wedding photography and believes that quality service is paramount to the customer experience. Interested individuals meet with the photographer and plan how they would like their picture session to turn out and if there are any creative ideas they would like Grace to incorporate into the finished pieces. Professional magazines and websites have published the work of True Grace Photography, including popular names such as Chicago Now, CHICAGO Magazine, and Michigan Avenue Magazine. The company operates out of Downers Grove and serves residents of the surrounding area. Two Birds Photography was founded in 2008 by Jake and Jennifer Moreland. The husband-and-wife team combines their talent for photography and design to produce wedding and engagement photoshoots. Other specializations include family and newborn photography. Two Birds Photography works out of the Chicago suburbs but enjoys traveling to photograph destination weddings. One-on-one consultations are recommended to discuss the client's vision for their photoshoot. In honor of each couple who books with Two Birds Photography, Jake and Jennifer make a donation to Second City Canine Rescue. Two Birds Photography has been featured in many publications, including Ruffled and Reverie Gallery.